Topic: What is the last movie you watched in a movie theater? Re: What is the last movie you watched in a movie theater? I saw A Star is Born last weekend. It was really upsetting, no one told me it was a tragedy! I guess it’s my fault for not knowing the plot of a classic and often-remade film. Topic: Themed gift exchange... uhh?? Re: Themed gift exchange... uhh?? I like that the basket is a useful item! Good call. Topic: Happy 15th spacefemmiversary Chococat! Re: Happy 15th spacefemmiversary Chococat! Every moment of that man's facial expression is a gift. I’ve been on spacefem for longer than I’d been alive when I joined! I’m glad it’s still around. Topic: Do you eat fast food? Re: Do you eat fast food? Also french fries, as often as I can justify it. Happy birthday! 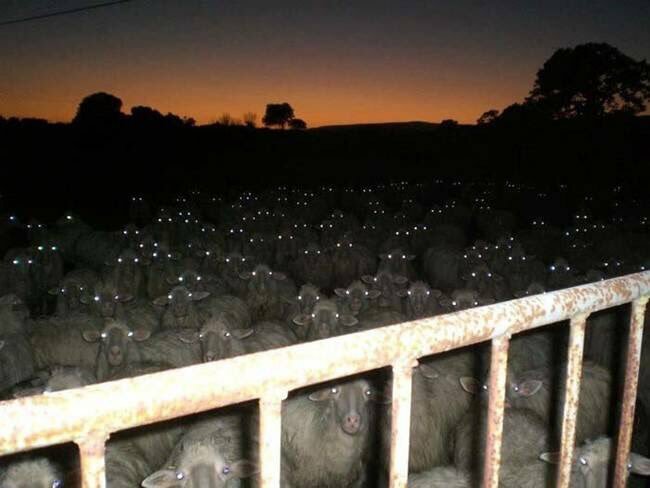 Have some sheep in the dark. Beans and rice, as long as the beans are vegetarian. But also peppers! Topic: How many books have you read this year? Re: How many books have you read this year? Just two so far ... I read Zadie Smith’s NW and then the Secret History of Twin Peaks dossier/novel, which I would highly recommend to anyone who enjoyed the original series. Now I’m reading The Golden Bowl at a rate of three pages a night before bed, so I’ll probably be working on that for a while. Topic: Happy 9th spacefemmiversary Aum! Re: Happy 9th spacefemmiversary Aum! Happy spacemmiversary! I know I mostly lurk, but I wanted to say that even though I may not always agree with you, I always enjoy reading your posts. I remember when you joined, and I am super glad you are still here! Topic: Happy 14th spacefemmiversary spacefem! Re: Happy 14th spacefemmiversary spacefem! Oh man I missed the 10th femcon, I would definitely spring for a 15th meetup! Topic: what was the topic of your thesis? Re: what was the topic of your thesis? Topic: Happy 13th spacefemmiversary Chococat! Re: Happy 13th spacefemmiversary Chococat! Oh jeez, I've been on spacefem literally half my life! Thanks for having me, guys. Thanks guys, I had a great day! Hi Patricia! Welcome to the forums. It's great to have career goals! Topic: Happy 10th spacefemmiversary lillerina! Re: Happy 10th spacefemmiversary lillerina! Here's to another decade, Lilly.